RIPE Chair Rob Blokzijl opened the RIPE 61 Meeting, welcomed the attendees to Rome and mentioned that this would be the last RIPE Meeting before the Internet Assigned Numbers Authority (IANA) runs out of IPv4 addresses. There was a short message from Brian Nisbet, Anti-Abuse Working Group co-Chair, who invited the attendees to attend. The opening Plenary continued with a panel session on "Additional Path Data for Faster Convergence" and a presentation on '10 Gbit Hardware Packet Filtering Using Commodity Network Adapters'. In the Plenary – RIR/NRO Reports session, Daniel Karrenberg, Chief Scientist RIPE NCC, launched the RIPE Atlas Internet measurement initiative. The response was overwhelmingly positive and there was much appreciation for the Atlas effort. Daniel asked people interested in being involved with Atlas to contact him. Maarten Botterman from GKNS Consult presented survey results conducted together with the RIRs on IPv6 deployment in 2010. An interesting panel discussion followed the RIR/NRO Reports, with Geoff Huston from APNIC, John Curran from ARIN, Axel Pawlik from the RIPE NCC and Sergio Rojas from LACNIC taking part. The Plenary concluded with the reappointment of Hans Petter Holen to the NRO Number Council (NC) for another three-year term. Congratulations Hans Petter. Two IPv6 tutorials were held on Monday morning prior to the meeting. The RIPE NCC held an IPv6 for LIRs Training Course for its members. Merike Kaeo of Double Shot Security looked at some of the different strategies that can be used by ISPs and content providers to enable IPv6 in their core and network access infrastructures. The tutorial was the first community-driven RIPE Meeting tutorial, and the organisers are keen to get feedback on future tutorial topics via an online survey. Tuesday morning's Plenary session began with presentations by a panel consisting of Michael Behringer, Nico Fischbach, Geoff Huston and Gert Döring. There were some comments about how software development ideas might be useful in managing network complexity. The next presentation, "An Optics Life", was about how to use flexBox. The second Plenary session of the day featured presentations on "Transparency as Incentive for Internet Security: Organizational Layers for Reputation" by John Quarterman, "Gbps Open Source Routing" by Bengt Gördén and "L2/L3 Integration" by Nicolas Fischbach. There was also an unscheduled talk by Lorenzo Colitti who introduced ISOC/Google suggestion for a "World IPv6 Day". The topic prompted a lot of discussion, with several people pledging their support via Twitter. The third Plenary session was taken up with a panel on "Practices in Network Planning and Traffic Engineering", with Thomas Telkmap (Cariden), Clarence Filsfils (Cisco) and Paolo Lucente (pmacct) leading the discussion. A packed agenda for the first of two DNS Working Group sessions saw Anand Buddhdev of the RIPE NCC confirm a huge rise in DNSSEC for Reverse DNS over the past 12 months. 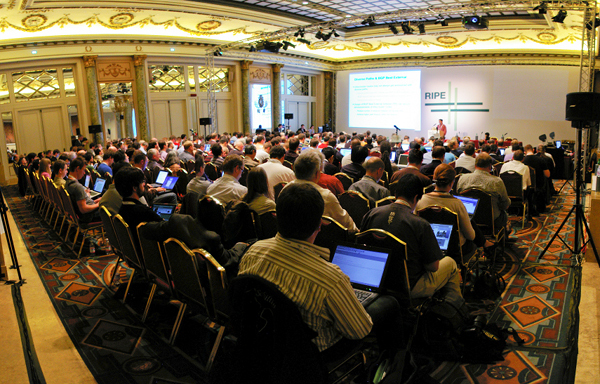 Following a presentation that offered a personal view on happenings at the various IETF Working Groups, the Working Group Chairs asked for feedback on this style of reporting. Jaap Akkerhuis, Jim Reid and Peter Koch are around all week so please approach them or send an email to dns-wg-chairs [at] ripe [dot] net. The DNS Working Group meets again on Thursday morning. The IPv6 Working Group met in the final session on Tuesday with a full agenda of case studies, statistics and discussions. Highlights included studies by Jari Arkko and Tore Anderson. The session closed with discussion of RIPE Policy Proposal 2010-06 on Registration Requirements for IPv6 End User Assignments. This discussion will continue on the IPv6 Working Group mailing list. Over 400 users had pre-registered by Tuesday with over 500 pre-registered network locations! A PGP Key Signing Party was held on Tuesday at 18:00 and was attended by 24 person. 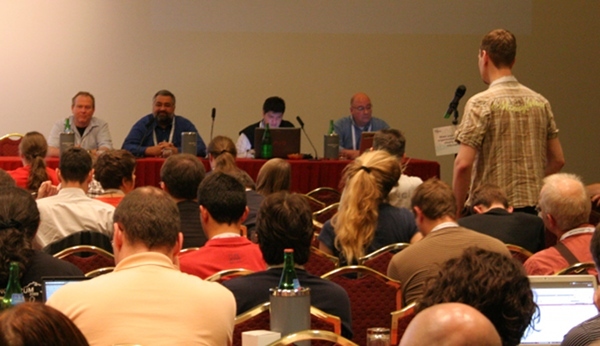 The "Cosmetic Surgery" project will collect feedback on clarity requests on IPv6 documents and will continue after RIPE 61. The Chairs asked for volunteers to form a task force to look into issues between allocation transfer and RIPE Document ripe-301. It was confirmed that the interpretation of "utilisation threshold" regarding /56s as a measurement unit in RIPE Document ripe-481 should be an editorial change, meaning that the change will not have to go through the PDP. Policy Proposal 2010-01 will be moved into the "Last Call" phase of the PDP. After some final editorial changes, Policy Proposal 2006-05 will also be moved to the "Last Call" phase of the PDP. An action was put on the AP WG to agree on the meaning of "open" in Policy Proposal 2010-07. The RIPE NCC presented an overview of how it implements IPv6 policies and presented specific data on the distribution of IPv4 and IPv6 Provider Independent (PI) assignments. The resulting discussion helped to further clarify RIPE NCC activities. Erik Romijn's presentation about using RIPE NCC tools for incident analysis was well-received. Nick Hilliard's presentation highlighted some problems with RPSL and presented some ideas on how to move forward, with the goal of having a simpler language that's easy to use. There was a lot of discussion and the general opinion was that work was needed to make RPSL simpler and easier. Randy Bush gave two presentations, "Route Flap Damping Considered Useable" and "BGP Decision Statistics a First Experiment". Unfortunately there was no time for discussion. The Cooperation Group met after lunch with an agenda that focused on the many developments in government-technical community cooperation over the past six months. Paul Rendek, RIPE NCC, and Cooperation Working Group Co-Chair Maria Häll discussed the 2010 Internet Governance Forum, as well as the future of the IGF. Maria Häll also provided a recap of the International Telecommunication Union's (ITU) recent Plenipotentiary Meeting. Alice Munyua, Kenyan representative to the ICANN Governmental Advisory Committee (GAC) presented on the evolving role of the GAC, and the session closed with an update from the German government on its civil and military IPv6 deployment projects. There were several updates during the RIPE NCC Services WG. The RIPE NCC plans to publish several documents in order to improve transparency. It committed to sharing these with the community via the RIPE NCC Services WG, cross-posting to other WGs where relevant. More information regarding the IPv4 run-out and plans for handling legacy/ERX space will be shared with the community once those plans take shape. The work done on creating the draft document "Closure of LIR and Deregistration of INRs" was applauded and clarifications will be made and discussed further on the RIPE NCC Services mailing list. It was announced that co-chair Cara Mascini had stepped-down from her duties and she was thanked her for her work. The lengthy IXP Updates were scrapped following feedback and were replaced with 60-second lightning updates. Co-chair Andy Davidson emphasised the need to update the Switch Wishlist document and asked for input on the EIX Working Group mailing list. Co-chair Fearghas McKay encouraged the audience to sign up to the mailing list to participate in EIX discussions. Policy proposals currently going through the RIPE PDP were discussed. Proposal 2010-05 was presented by the authors. The wording will be edited and a new version published on the mailing list for discussion. Proposal 2008-08 received suggestions for rewording, which will be considered by the proposer. It was also decided that proposal 2010-02 will enter the "Last Call" phase of the PDP. During the Open Policy Hour, the suggestion of an RIR-coordinated policy for Internet resource transfers was presented. The audience reacted with interest. As a result of discussions from Wednesday, an update to the IPv6 assignment process for IXPs was also announced. There was a warm reception for Elise Gerich of ICANN when she announced the end of the Interim Trust Anchor Repository (ITAR). With BIND 10 in its second year of development, Jelte Jensen of ISC asked for input about operational needs from BIND 9 users. There is an an online survey at: isc.org/announcement/give-your-input-future-bind. A panel session on the needs for rDNS in DNSSEC produced lively discussion. The Anti-Abuse Working Group had a full agenda with plenty of interesting discussion. Michele Neylon gave a presentation on the problems faced by registrars, drawing several comments. The proposer of Policy Proposal 2010-08, Tobias Knecht, joined on Skype for a discussion of that proposal. The A.O.B. slot ran late, with debate centred on the status of one of the working group co-chairs. Rodrigue Ullens presented on +883, which currently has over 100 participating service providers. Ricardas Pocius presented on ENUM in Lithuania and shared details on how ENUM is implemented. Anand Buddhev, RIPE NCC, presented the Tier-0 Report, which included stats on lameness in the ENUM zone. Niall O'Reilly, ENUM co-Chair, updated the WG on the status of enumdata.org. It was mentioned that there is not enough collaboration for ENUM to really take off, and it was suggested that a panel could be organised to facilitate this. New RIPE Database features, geolocation and improving AUTH security, were among the topics discussed during the DB WG session. The RIPE Database free text search feature was demonstrated and there was agreement to push forward with implementing the "ping-c" attribute. There were comments that the five RIRs should work together when considering changes and combine the strengths of their databases. The new Measurement Analysis and Tools (MAT) Working Group met in the final session of the day to hear about a range of Internet measurement and analysis projects being done by the community and the RIPE NCC, including a discussion of the technical details behind the RIPE Atlas project, which prompted a great deal of discussion. Friday morning kicked off with a Plenary session that included a presentation on "Dark Traffic in IPv6" by Geoff Huston, APNIC. Geoff investigated the quantity and possible origins of and reasons for dark traffic. There were also presentations on "IPv6 - A Content Provider's Experiment" by Johannes Endres and “Application Layer Traffic Optimisation (IETF-ALTO) Technologies in Service Provider Networks” by Stefano Previdi. In the Closing Plenary Rob Blokzijl gave an overview of meeting statistics, and he thanked the hosts, sponsors and the RIPE NCC meeting organisation team. Andy Davidson, EIX WG Co-Chair, gave feedback on the RIPE BoF and Task Force and asked for further comments on this from the community. A report from the BoF held on Thursday evening can be found below. Erik Romijn, RIPE NCC, gave a fascinating presentation about the technical set-up of the meeting and an overview of the technical issues and observations from the week. About 50 people attended the RIPE BoF on Thursday evening. During the week, many people expressed interest in IPv6 access issues and this was the first topic chosen for discussion. Andy Davidson, EIX WG Co-Chair, chaired the BoF. Marco Hogewoning, IPv6 WG Co-Chair, spoke briefly about his IPv6 CPE Survey. Dave Wilson from HEAnet reported on his effort to convince the academic community to deploy IPv6 on campus networks. Both topics sparked plenty of discussion, and many people participated in the talks. 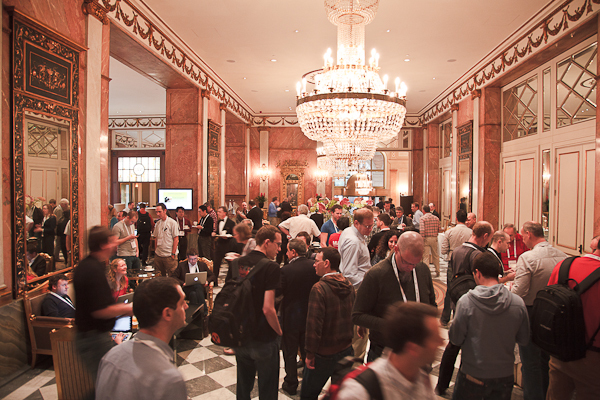 The BoF was a success and will be repeated at future RIPE Meetings. View all RIPE 61 Presentations. See all Webcasts, chat logs and stenography transcripts. 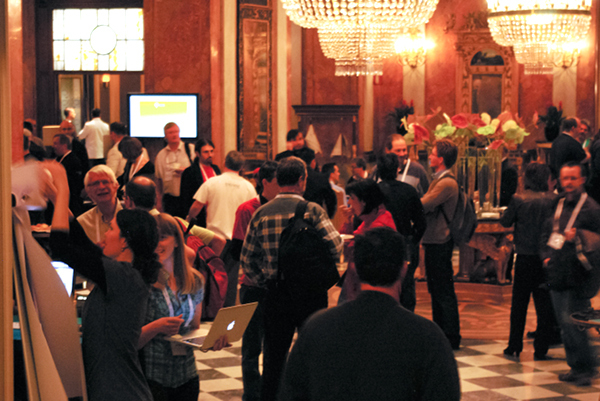 We look forward to seeing you all in Amsterdam for RIPE 62, 2-6 May 2011!